I love this picture from my 6 yr old. 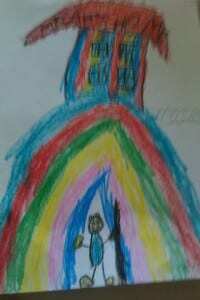 It’s a picture of the house he wants to live in when he grows up. He says you have to slide down the rainbow to leave. Cute! !